Anthriscus sylvestris, also known as Cow Parsley, Wild Chervil, Wild Beaked Parsley, Keck, or Queen Anne's Lace, is a herbaceous biennial or short-lived perennial plant in the family Apiaceae. It is native to Europe, western Asia and northwestern Africa; in the south of its range in the Mediterranean region, it is limited to higher altitudes. 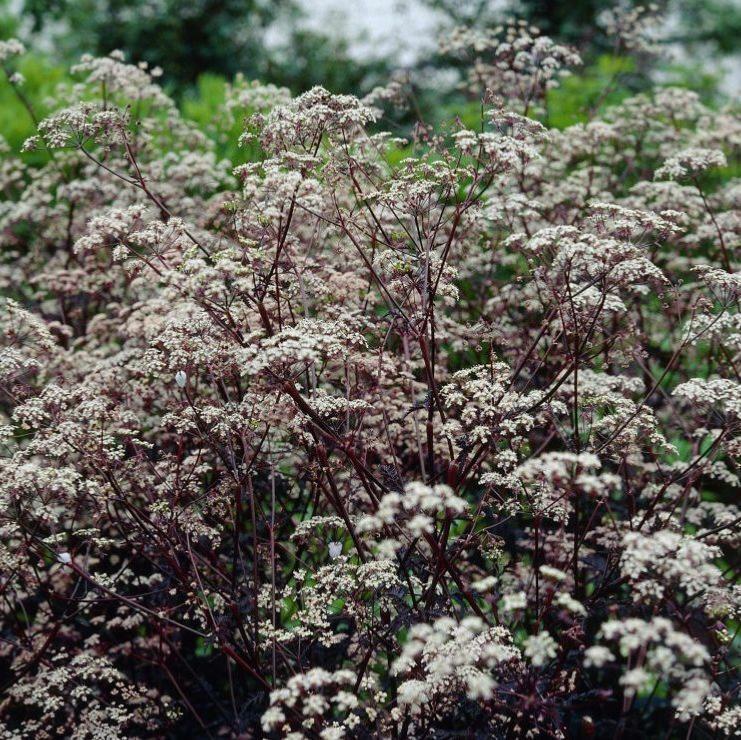 It is related to other diverse members of Apiaceae such as parsley, carrot, hemlock and hogweed. The hollow stem grows to a height of between 60–170cm, branching to umbels of small white flowers. Flowering time is mid-spring to early summer. The tri-pinnate leaves are 15–30cm long and have a triangular form. The leaflets are ovate and subdivided. This is the bronze-purple form of the common Queen Anne's Lace. Lace-like and feathery, the deep purple foliage of this very elegant cow parsley provides a wonderful backdrop for the clusters of creamy-white flowers, which appear on upright stems from late spring. 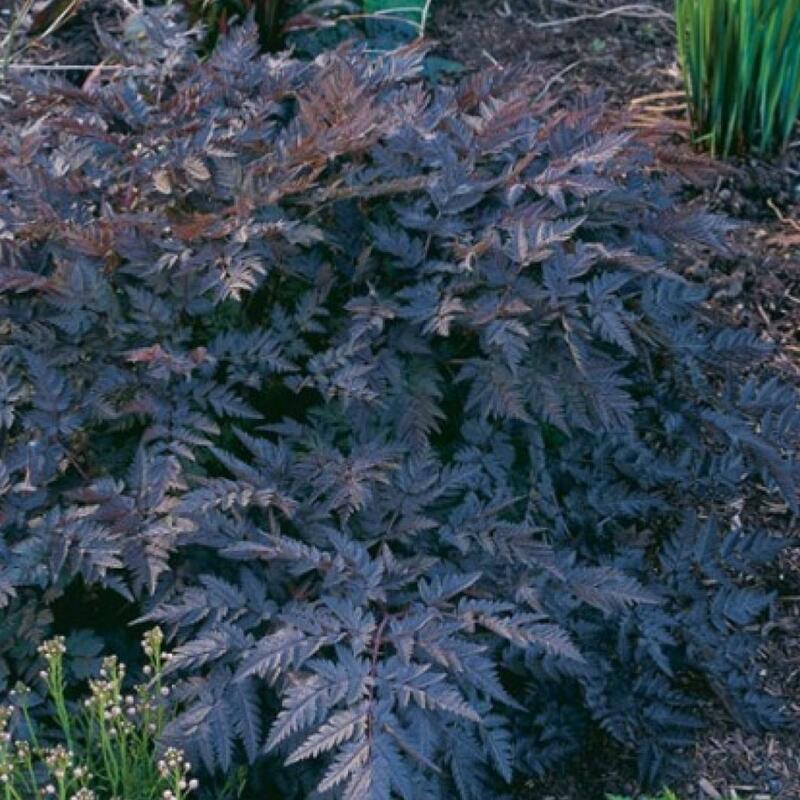 Provide full sun and average to dry soil. 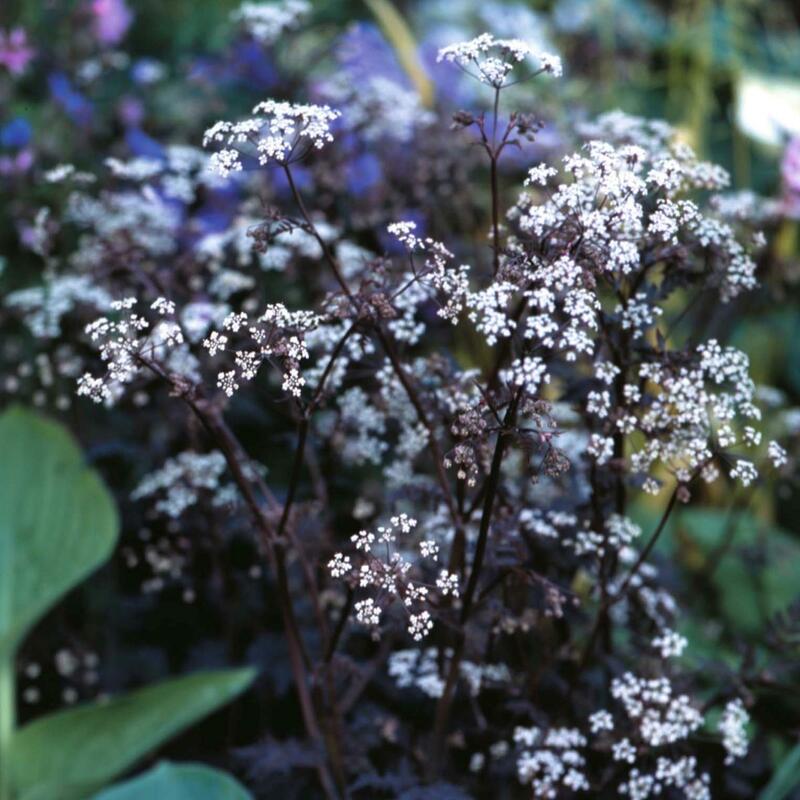 Cut off flower stalks to prolong foliage vigour and reduce possible self-seeding.